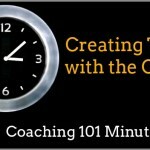 Coaching models support the client, the coach and the coaching process to create a change in awareness. There are many different coaching models and many different types of coaches. There is no-single model of coaching that fits everyone and every situation. Although there are documented and published coaching models, many people build their own model. At it’s most simple, a coaching model is an expression of the values, philosophies and beliefs around coaching. It is a framework to base your coaching process on. It’s very important to realize that when you use a coaching model created by someone else, you are then applying the beliefs and values to your own model. 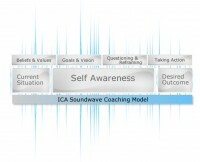 Here at ICA all of our graduates must create their own coaching model, but for the sake of our audio today we’re going to take a more in-depth look into the ICA Coaching Model. 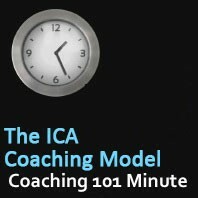 Here at ICA we have developed a coaching model and process for a series of coaching sessions. By sharing this model with you, our aim is to help you get started as a coach. Over time as your skills and knowledge grow, you may want to alter this model to take into consideration your own unique skills and interests as well as the target markets you wish to work with. 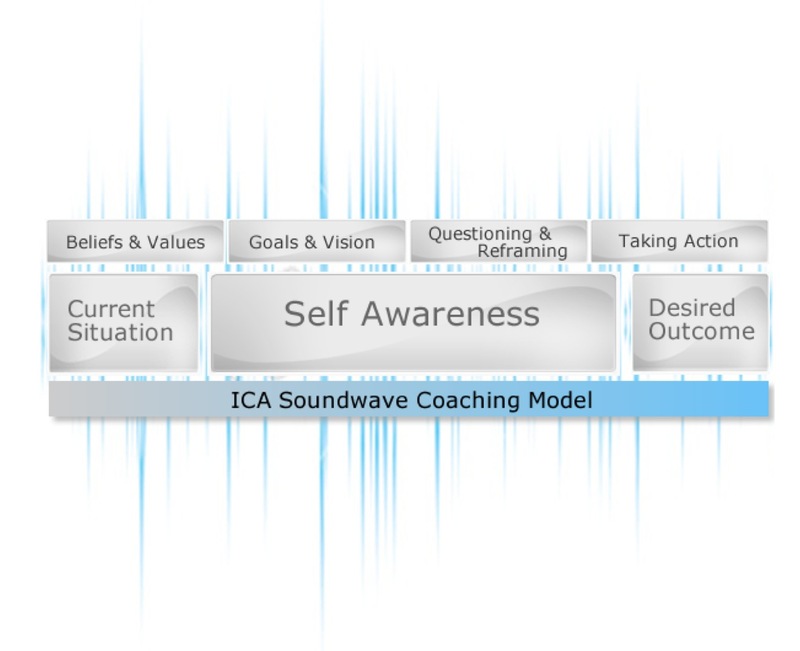 The ICA model uses a sound wave as its central metaphor because coaching is not a linear process, rather it is a changing process that comes in waves. The model is built around the belief that self-directed change only occurs through self-awareness. In the coaching process a client starts each session with a situation that they want to be coach around. Throughout the situation they are discovering a coach is listening powerfully to their story to determine the right questions to ask on the path of self-discovery for the client. It is critical at this point of the coaching process that the client feels completely safe in the trusting space. Beliefs and values are central to coaching. The ICA model of coaching seeks to align a client’s actions and reality with their beliefs and values. In a moment of reframing a perspective, where the client feels the impact of this moment, the client will be able to see the values and beliefs they have that are underpinning the situation. It is at this point that a client can decide whether these beliefs continue to support them or not. This is a critical part of the coaching process as this is where the deep self-awareness occurs building a strong foundation for consciousness and self-awareness. Some clients come already armed with their goal or a vision and some do not. In any case, all clients have a desire to achieve a change or to learn something. Powerful questions are central to the coaching process. It is via the coach’s questions and the client’s self-questioning that deeper self-awareness can be achieved. Often reframing is required to move a client from a disempowering perspectives to an empowering perspective. Taking action is an important part of the coaching process. The coach spends a significant percentage of their time supporting their clients IN taking action. The more consistent and bolder the action, the faster a client will move forward with their desired outcome. The key to change is self-awareness. It is the process of being able to see ourselves. It is about becoming aware of our actions, behaviors, thoughts and feelings. It is about understanding why we are feeling a particular way and what belief is attached to that feeling. Knowing who we are is critical to understanding our strengths and our values. When a moment of uncertainty occurs, knowing your strengths and values means that you can trust these to support you to move you through your uncertainty as your values and strengths remain consistent. Once again, this is just a beginning step to establishing your own uniqueness as a coach. How many clients does the average coach take on? How long does the average student take to graduate from International Coach Academy? How can I combine training with coaching?